News and ideas for doing business globally. AKA What About Clients? Know-how. Arts. Style. Verve. Lost Spines Reclaimed. 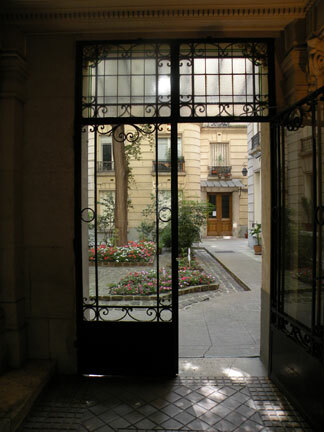 Courtyard week in Paris was the last one in August. See Richard Nahem's I Prefer Paris. Richard finally leaves the Marais to enter close-by Ile St. Louis, my adopted neighborhood, and famous for its quality of being a small town at the center of Paris. Yank tourists think Ile St. Louis is about an ice cream shop at its edge near Notre Dame. Not. You can slurp all you want when you're back in Elkhart. You are in Paris, this is your life, and life's short. Please walk around, okay?